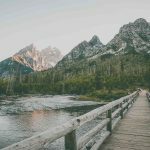 To foster global awareness and cultural understanding by connecting local (Wyoming) residents and members of the international community, both personally and professionally. A peaceful and more prosperous world achieved through local initiatives in international education and cross-cultural exchange. Respect for individuals and appreciation for cultural diversity. Integrity in programming, accountability for service of the highest quality to our community, our visitors, our partners, and our supporters. Global Ties Wyoming, previously known as The Wyoming Council for International Visitors (WCIV), was established in Jackson Hole in 2004 to bring emerging leaders from around the world to experience the unique communities and landscapes of Wyoming. We are a registered 501(c)(3) nonprofit organization, and donations to our work are fully tax deductible. 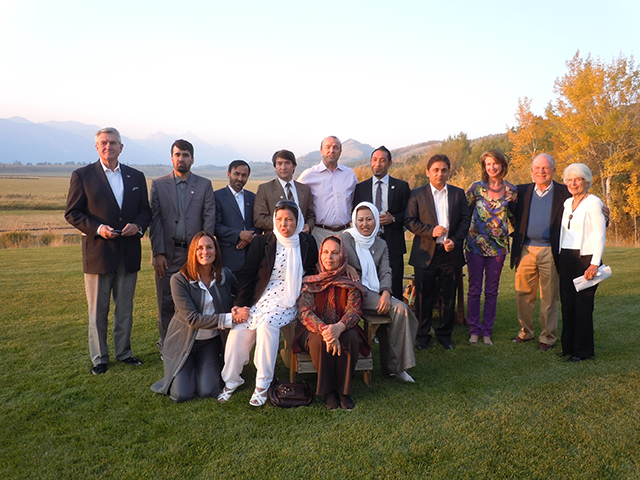 Since its inception, Global Ties WY has hosted over 150 visitor programs from dozens of countries across the globe. These programs have involved more than 750 visitors and hundreds of local professionals, volunteers, and community members. We Are A Part of Something Bigger – Global Ties U.S.
As a member of Global Ties U.S., we are one of 90 community organizations across the nation that implement the prestigious U.S. State Department’s International Visitor Leadership Program (IVLP). This Global Ties network has played a significant role in shaping international relations for 75 years. The roster of IVLP alumni includes more than 350 current and former heads of state worldwide who developed close ties to the United States through their experiences as IVLP participants. Past IVLP participants include Britain’s Margaret Thatcher, Mexico’s Felipe Calderon, Christian Wulff, Malawi’s Joyce Banda, Australia’s Julia Gillard, and the 2011 co-winner of the Nobel Peace Prize, Yemen’s Tawakkol Karman. Find out more about the Global Ties U.S. network and activities here www.globaltiesus.org, and learn more about the IVLP program here https://eca.state.gov/ivlp and in our Programs section. The U.S. Department of State helps to shape a freer, more secure and more prosperous world through formulating, representing and implementing the President’s foreign policy. The Secretary of State is the President’s principal adviser on foreign policy and the person chiefly responsible for U.S. representation abroad. The Bureau of Educational and Cultural Affairs fosters mutual understanding between the United States and other countries through international educational, professional and cultural exchanges. The Bureau promotes personal, professional and institutional ties between private citizens and organizations in the United States and abroad, and presents U.S. history, society, art and culture in all of its diversity to overseas audiences. Program (IVLP). Launched in 1940, the IVLP seeks to build mutual understanding between the United States and other nations through carefully designed professional visits to the United States for current and emerging foreign leaders. These visits reflect the visitors’ professional interests and support the foreign policy goals of the U.S. government. Each year over 5,000 IVLP participants from all over the world are selected by U.S. embassies to travel to the United States to meet and confer with their professional counterparts. Through these encounters, they gain a greater understanding of the cultural and political influences in U.S. society and enjoy a firsthand experience of the United States, its people and its culture. Visitors represent government, politics, the media, education, nongovernmental organizations, the arts, public health, international security, business and trade and other fields. Over 320 current and former heads of government and state and many other distinguished world leaders in the public and private sectors have participated in the International Visitor Leadership Program.